The unique handle of Juma a high-quality type that is known for its excellent material properties and high resistance especially ideal for high-quality precision equipment, makes for a classical impression with its structural grain. 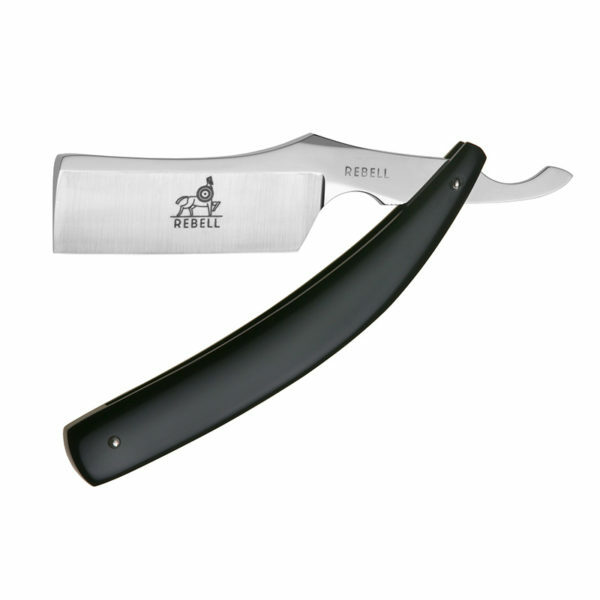 The highly-polished knife provides a practical thumb cavity, which makes for a safe gliding and additionally has the REBELL-logo and logo lettering engraved. 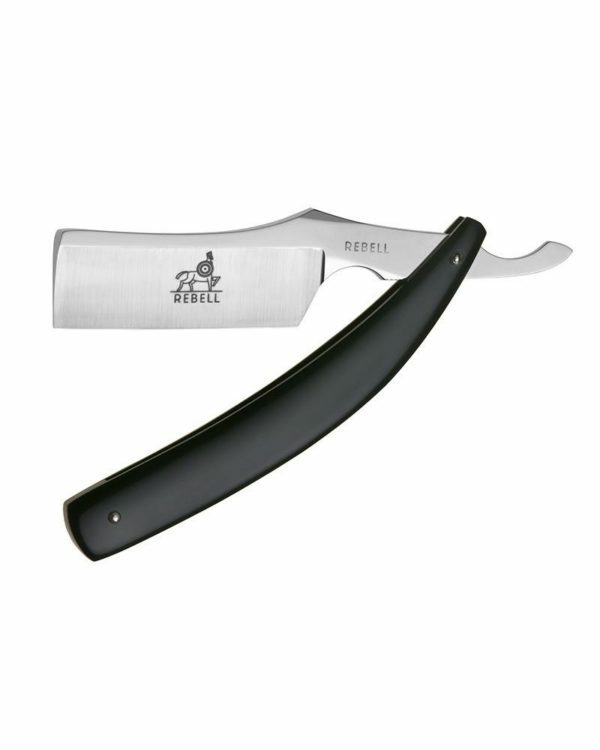 The REBELL-shaving knives are made from non-stainless carbon steel, which is often the first choice for high-quality straight razors due to its great cutting properties. The coarse polish, which was finished by a master hand in various lavish procedures, meets every challenge and underlines the robust character of the knife.